From the £600 Shimano Claris-equipped base model right through the five-bike range to the super-exotic £6,000 Dura Ace-equipped S-Works version, the years of the Allez’s evolution haven’t been wasted. Always keen to stand out from the crowd, Specialized’s latest aluminium frames feature unique tube shapes, designed to be as visually pleasing as they are rewarding of effort. In fact, thanks to the combination of such attention to design and the smooth, virtually invisible welds, each of the three frame options could easily pass for carbon. The two basic aluminium frames really look the part while the top-end hydroformed frame of the S-Works isn’t too far off the mark when it comes to weight. In between these two extremes of the Allez model, lie another three, equally well turned out bikes. Taking the usual steps through Shimano’s groupset hierarchy, there’s the £750 Sora Sport, the £900 Tiagra Elite and the £1,300 105 Race, which also boasts a slightly higher spec aluminium frame. We’d say Specialized has got the pricing for its range absolutely spot-on in this fiercely contested sector, especially when it comes to the model we’re interested in for this test — the Elite. Priced well within budget for the Ride to Work scheme, the Tiagra equipped Elite ticks all the boxes for us when it comes to sub £1,000 options. With more and more manufacturers pulling out all the stops to lure potential commuters and new sportive riders on to their bikes at this crucial price point, being good isn’t enough: only excellent will do. In this somewhat crowded corner of the showroom, price cuts often come courtesy of parts catalogue shortcuts, so it’s refreshing to see Specialized sticking to the full Shimano menu, rather than deviating towards cost-cutting alternatives, such as cheap unbranded brakes and chainsets. The geometry of the Allez has evolved over the years, too. 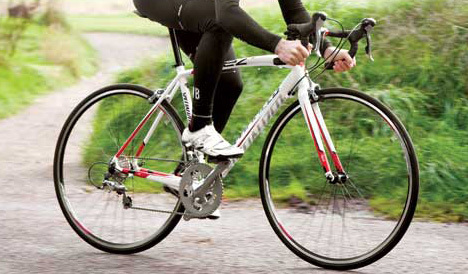 Before the popularity of sportives, the Allez was unashamedly pitched as an affordable race bike. These days the chainset has dropped a few teeth from 53/39 to the now de rigueur compact 50/34, the 10-speed cassette has broadened its range to ease climbing and the riding position has relaxed a little, with the reach to the bars brought both back and up to appease those who favour a long time in the saddle over a short blast. Racing types will be pleased to hear, however, that a generous amount of headset spacing means the bars can be dropped considerably while extending the reach will only cost you the price of a stem. Specialized keeps its build costs low and its specifications high by manufacturing many of its own parts rather than outsourcing, and the quality is commendably high. A lot of thought has gone into ridding the Allez of road buzz, too. The Elite doesn’t suffer the usual aluminium affliction thanks to the 27.2mm seatpost designed to put a little give right where it’s needed. This, together with the comfortable Body Geometry Riva Gel saddle that has a pressure relieving centre channel, offers suppleness with plenty of support to give a plusher ride than you might expect. The same attention to detail extends to the front end. 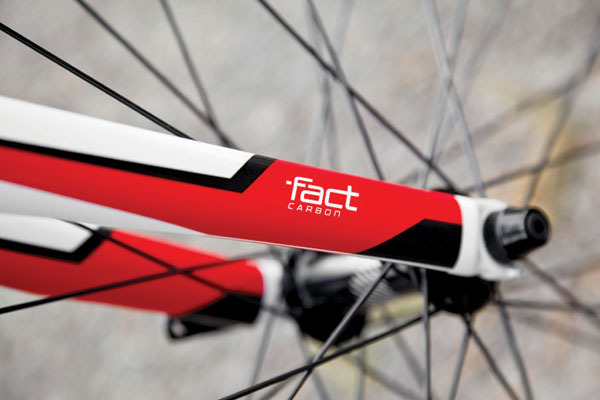 The well-developed carbon FACT fork has to take much of the credit for such compliance but the shallow-drop handlebars wrapped with thick gel tape and fitted with Specialized’s clever bar shapers also provide plenty of damping against even the worst road surfaces. It’s an all-day comfortable bike, that’s for sure. Performance is highly commendable, too. 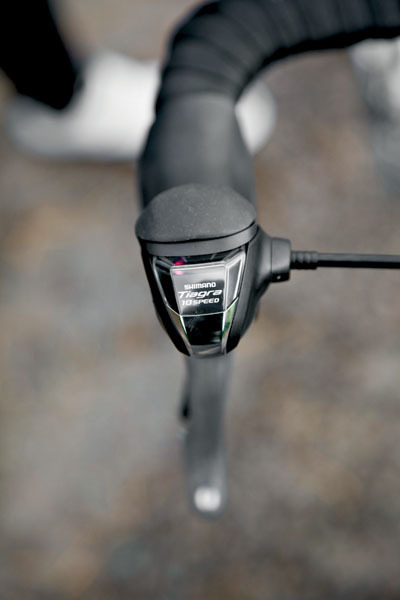 The 10-speed Tiagra transmission runs smoothly and each and every gear change is slick and precise. Despite those concessions to comfort we’ve just remarked upon, there’s an eagerness about the Elite. Acceleration is as good as you can expect from a 21lb bike and while a little on the weighty side, the budget Axis wheels roll very well on Specialized’s own Espoir Sport tyres, the 25c sizing absorbing the B-road bumps and suiting the bike’s purpose perfectly. What really sets this bike apart from others we’ve recently tested, though, is the quality in depth throughout its parts. All this bike needs to transform it from run of the mill to king of the hill is a wheel upgrade. The rest of the package is complete. So, whether you’re looking for a bike to ride to work or something for the weekend, the latest evolution of a classic is still as good as aluminium gets. With £1,000 to spend on a sporty all-rounder, frankly, we can’t think of a better way to blow it. 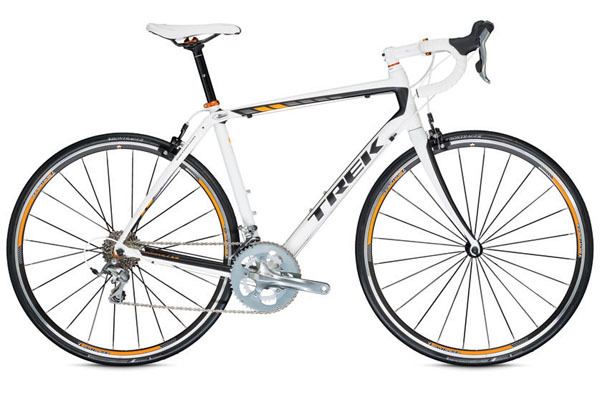 Another brand from across the pond, Trek’s Domane 2.0 offers similar levels of specification and performance to the Allez Elite. 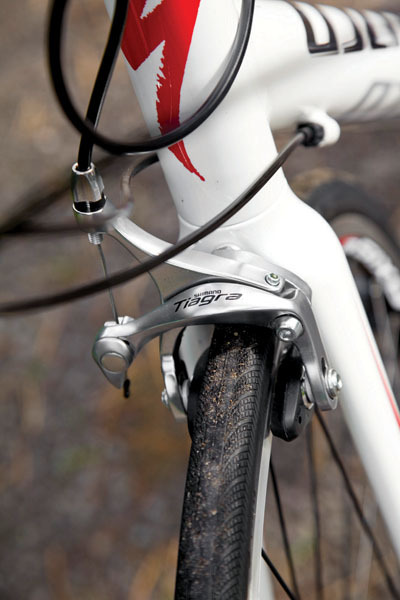 Like Specialized, Trek keeps the costs down and the quality up by using its own branded parts, in Trek’s case, Bontrager. The clever Isospeed system features in both the fork and the rear triangle, enhancing comfort, making it a great choice for the sportiviste.